Support offered: The updated book was offered with telephone support by Bounceback coaches – sited within CMHA offices across British Columbia. Support/supervision as accessed by local clinical psychologists contracted by CMHA. 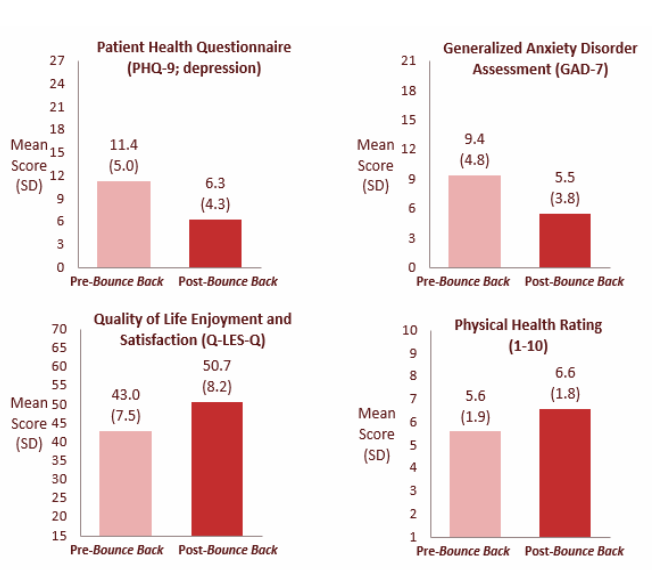 Outcomes: Depression was measured on the Patient Health Questionnaire (PHQ-9) and anxiety on the Generalised Anxiety disorder (GAD-7) questionnaire, before and after using the materials. 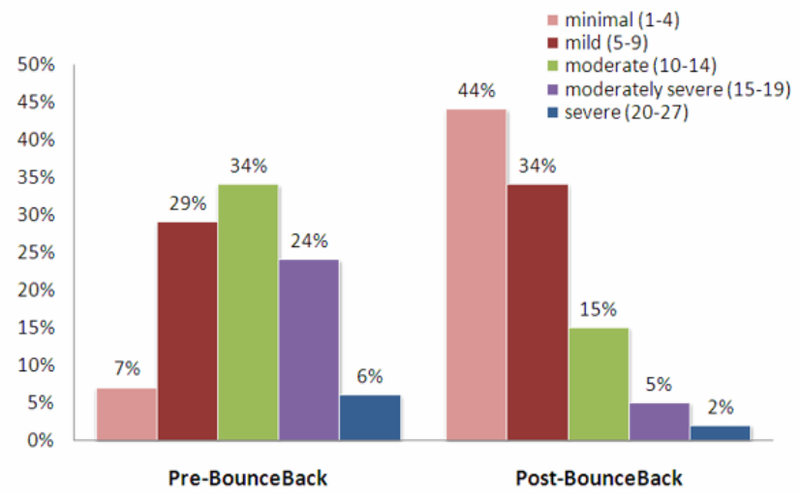 The CBT based self-help materials led to strong improvement. The program is now moving into other provinces including Ontario.